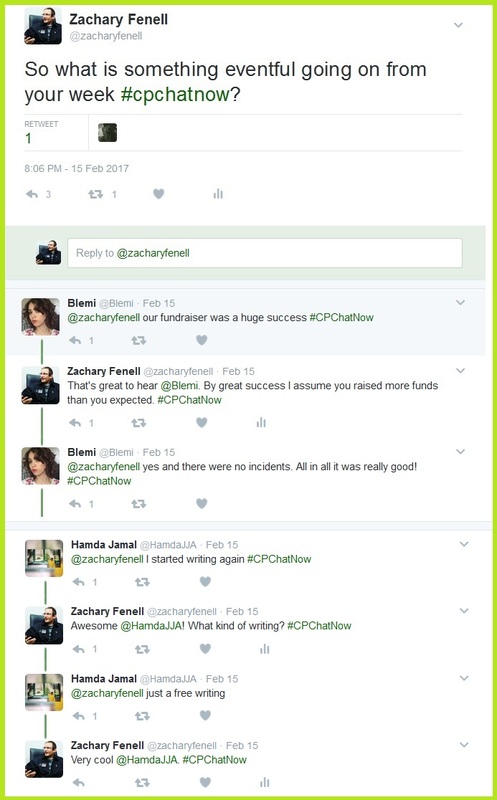 On Wednesday, February 15th we at #CPChatNow held our monthly focus chat for February 2017, welcoming to the chat comedian and actress Maysoon Zayid. 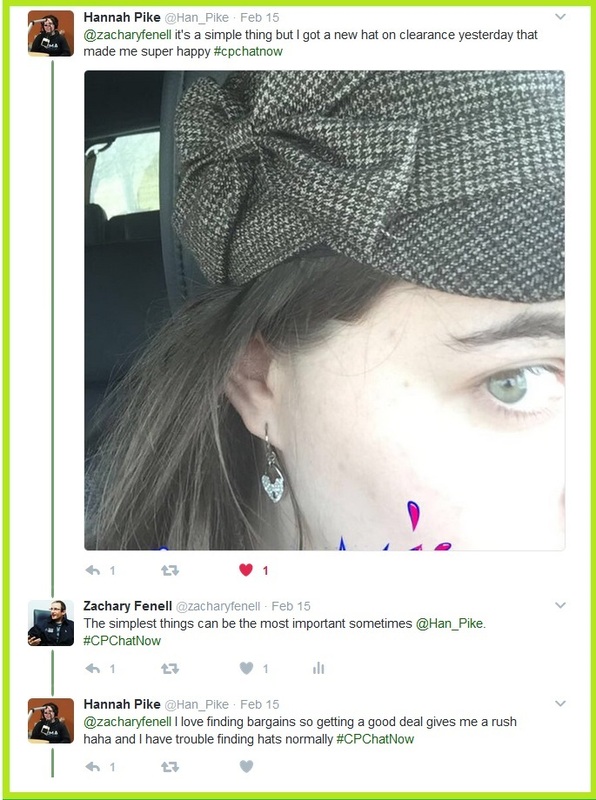 Now I am #CPChatNow co-host Zachary Fenell, here to condense the evening down into our weekly recap. 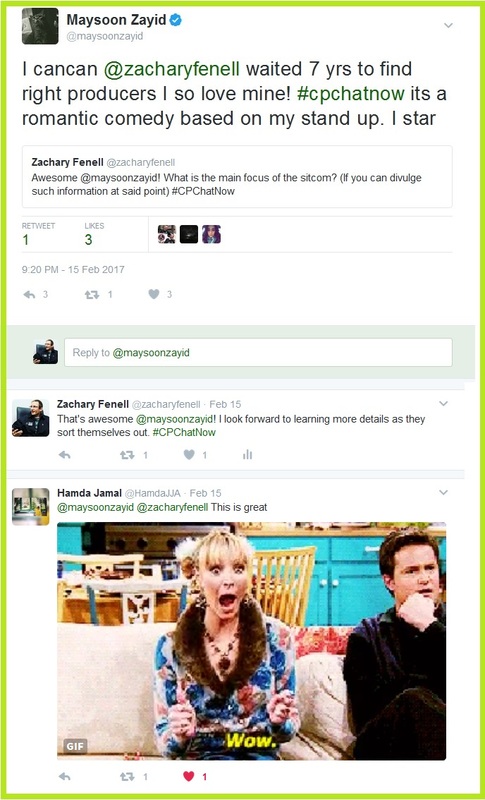 Rather than concentrating on a certain topic, we used our time with Maysoon for an open Q & A session. 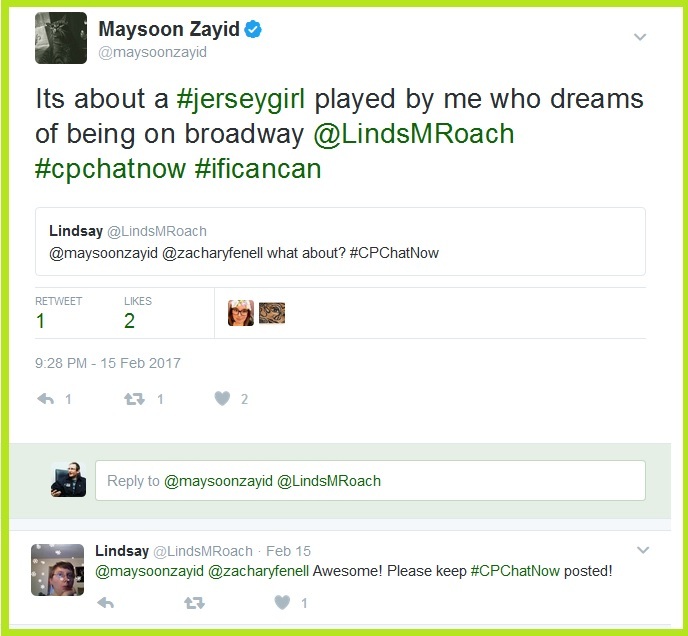 While I thanked her during the night, I want to again express #CPChatNow’s gratitude for Maysoon fitting us into her busy schedule. In fact Maysoon did not join us until the 9pm ET hour due to a gig in the prior hour. That enabled us to utilize our first hour to catch up on each others’ weeks. Eventful weeks they proved too! Community regular Hannah Pike reminded us eventfulness can emerge from the simple things. Beyond eventful, you could also describe participants’ weeks as busy. Exciting projects occupying their schedules. Personally, I am happy to share I published my new Rocky Balboa inspired exercise montage over the weekend. Take a look! Come tweet me on Twitter and let me know your thoughts. Thanks for indulging my self-promotion. 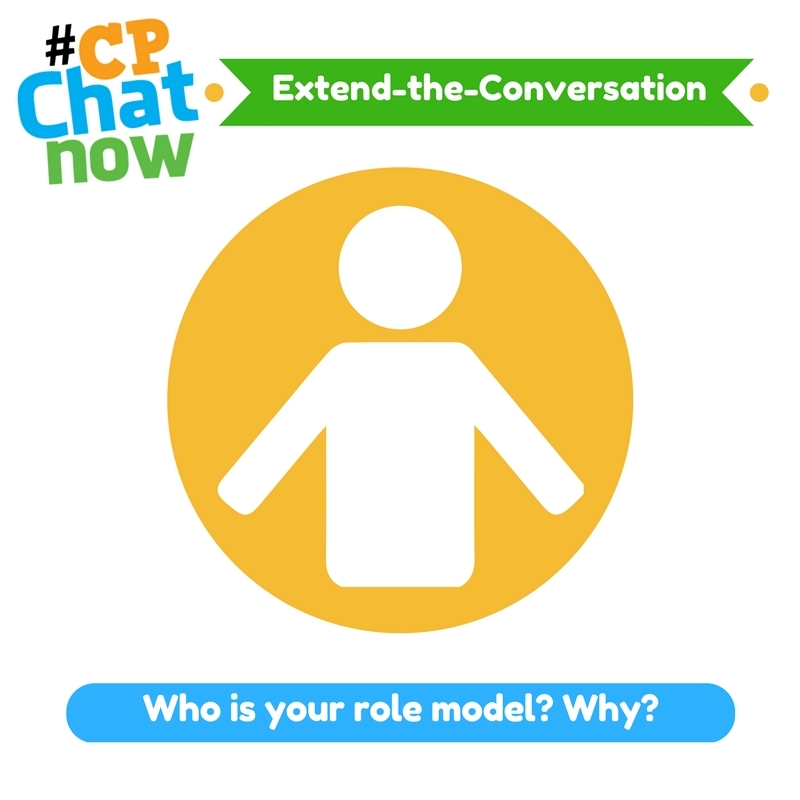 Shall we return to #CPChatNow business? 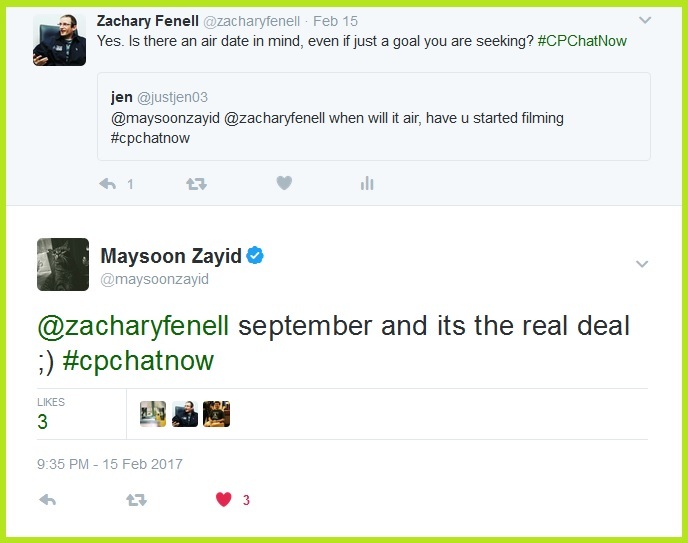 Upon entering the #CPChatNow dialogue, Maysoon also answered my question about exciting projects. News about Maysoon Zayid’s upcoming sitcom triggered our community’s curiosity. Just like the above screen shot shows! 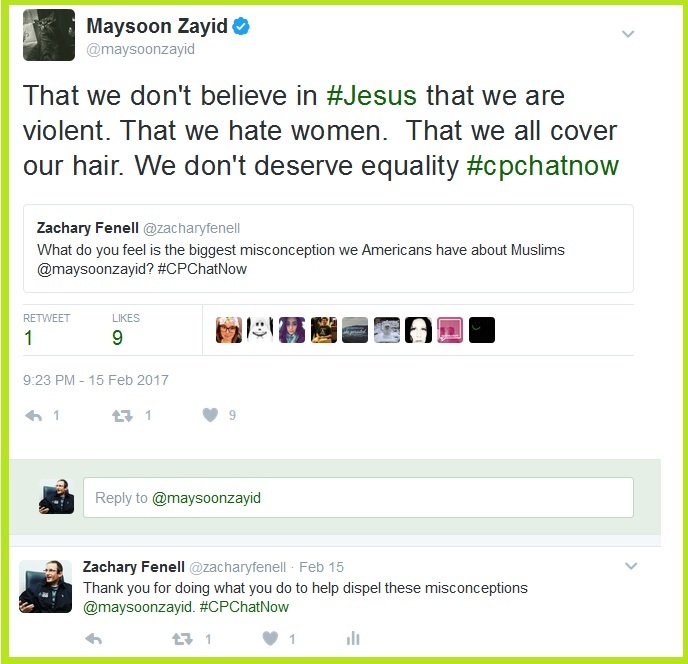 The questions flowed in and Maysoon kept pace with her answers. Summarizing what we learned February 15th, Maysoon Zayid will star in her own romantic comedy sitcom titled I Can Can. She plays a Jersey girl with Broadway dreams. Given a September air date, expect more details to arrive shortly. As 2017 progresses I can surely envision the show becoming a popular talking point amidst our chats. 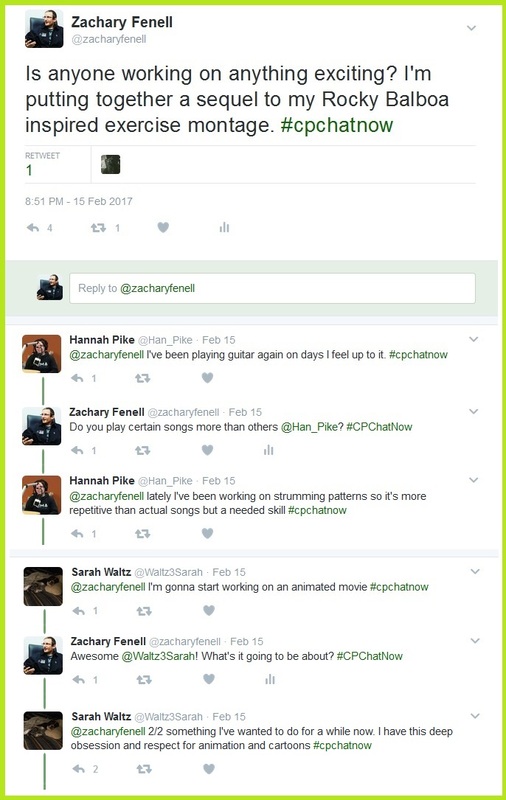 Plus I’m confident along with my co-hosts Devin Axtman and Blake Henry we will keep you apprised on new details via the #CPChatNow Facebook fan page. Outside I Can Can talk turned to serving as a role model. Community regular Hamda explained why she considers Maysoon a role model. 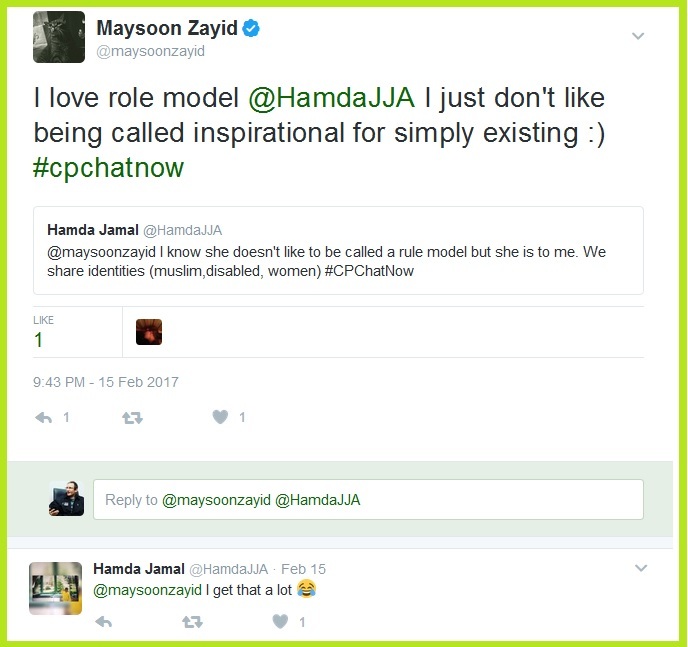 By clarifying when the term “role model” bothers her, Maysoon brought up a key point. One I say we examine in-depth circa the week’s extend-the-conversation question. Answer “Who is your role model? Why?” Leave your reply in the “Comments” section. Honestly I am guessing identity will stand a common reason for choosing role models. Seeing others similar to you rise above unfair misconceptions and stereotypes empowers. Regarding misconceptions, Maysoon named what she deems the biggest misconceptions Americans hold about Muslims. Dispelling misconceptions albeit about Muslims or another group leads to a better world. Understanding different cultures improves ability to treat others respectfully. Such a code of conduct we should all strive for! To wrap up let me one last time thank Maysoon Zayid for joining us Wednesday, February 15th, 2017. Tonight interim co-host Devin Axtman and I will announce our March 2017 focus chat. I hope you can stop in. The fun begins at 8pm ET. Until then remember to answer the extend-the-conversation question. Respond in the “Comments” section below. Tweet you later. 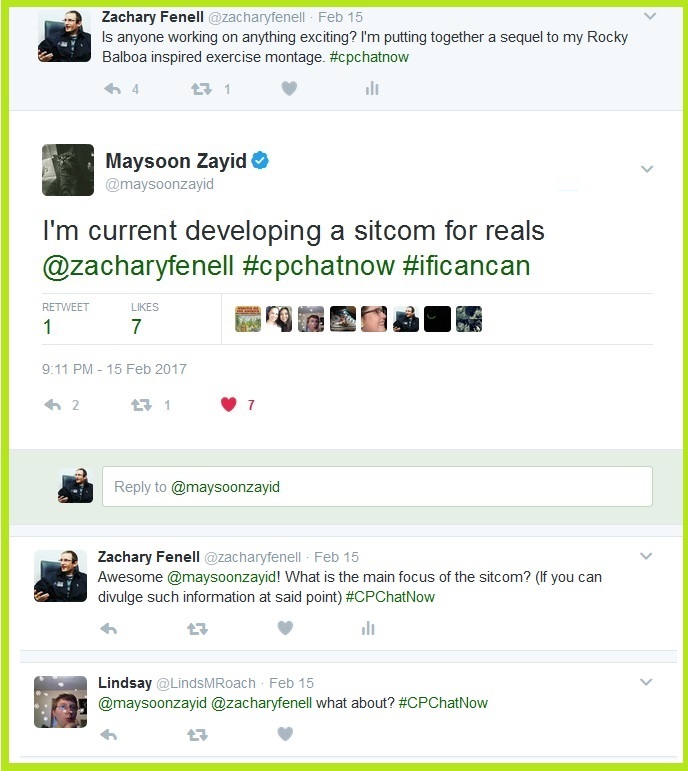 This entry was posted in Focus Chats and tagged I Can Can, Maysoon Zayid. Bookmark the permalink.